Volvo's spin-off electrified car company, Polestar, has announced how you can buy its first car, a generous 592bhp hybrid coupe. According to a new release, the Polestar 1 is available to pre-order in 18 countries – including the UK, USA, China and Germany – from the 13th of March 2018. With over 7 000 people interested in owning a Polestar 1 since its reveal, I guess it's safe to say that it will be a huge success. Polestar says buyers will have to put down a fully-refundable €2 500 or $2 500 (SA prices aren’t available yet) and they’ll be able to use a car configuration tool to further hone their order. 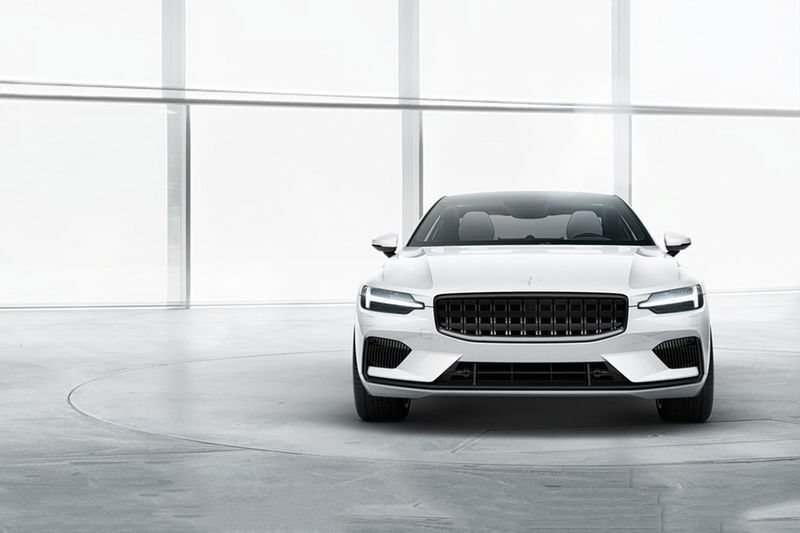 In October this year, Geely announced Volvo-offshoot Polestar was to become an entirely separate EV company, with the Polestar 1 being the first car. The project started three years ago with plans to develop a Volvo S90 Coupe. The Polestar 1 is based upon Volvo’s Scalable Platform Architecture, which you’ll find under the S90/V90 and well as the XC60 and XC90. It’s shorter, lighter, and thanks to extensive use of carbon fibre in its underpinnings, it’s stiffer. That shortened chassis is 230kg lighter than the one it’s based on, and around half of the new model is unique to the 1. The carbon fibre-bodied new car looks good, a cross between an Aston Martin and a Mustang, with plenty of Volvo DNA thrown in. The two-door, 2+2 seater Grand Tourer Coupé has an ‘Electric Performance Hybrid’ drivetrain that will drive almost 160 kilometres on battery alone. In the full-blooded hybrid mode, its 600hp power output is backed up by 1 000Nm of torque, which is nice... very nice! Inside its almost pure S90 – a good start, truth be told – with a little jewellery to justify the additional premium. Polestar claims the Polestar 1 has exceptional torsional rigidity, it is 45% stiffer than the S90 it’s based on. In short, a stiffer body means more predictable handling. It gains an interesting new Öhlins Continuously Controlled Electronic Suspension (CESi) suspension set-up, with comfort and handling modes. And its carbon fibre body significantly reduces weight compared with the S90 it’s based on. The drivetrain mates a twin-charged 2.0-litre four-cylinder engine with a rear axle housing a pair of stonking electric motors that push out 160Kw. They are controlled independently to create torque vectoring. The company will also be offering its new car on a subscription model, as per all new Volvo's, including the XC40. The dealer won’t be involved at this stage, if you want a Polestar 1, you’ll need to buy it online, and then choose whether you want it on a two or three-year subscription basis. The zero-deposit, all-inclusive subscription gives you concierge servicing alternative vehicles within the Volvo and Polestar range, should you need something roomier. The Polestar 1 will cost £115,000 in the UK. The first markets to get the car will be the USA, China, Germany, Sweden, Norway, and the Netherlands – although, strangely enough, not the UK. These markets will feature the aforementioned Polestar Spaces and they’ve been picked based on initial customer demand. Video: Volvo Builds A Record-beating 2,400-horsepower Semi-truck To Try And Break A World Record! Video: Cameraman Experiences A Crazy Launch In A Badass Volvo!